Lauren Sobaski is an associate in the firm’s Kansas City office. She focuses her practice on employment discrimination and related litigation, employment law training, drafting policies and procedures, and wage and hour law. 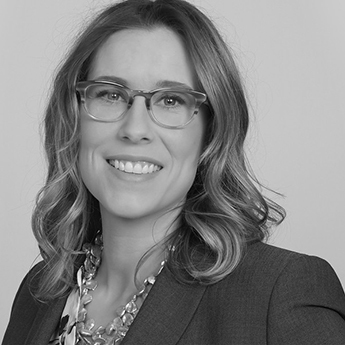 Prior to engaging in the practice of law, Lauren spent 15 years in human resource management. This experience gives her a unique insight into the employment law matters that are most important to her clients. Most recently, Lauren was a human resource consultant at Paychex, where she provided human resource management to 75 businesses operating in 20 states. Lauren’s significant career in human resources positions her well to work with her clients to identify and obtain practical business solutions to their toughest employment issues. Lauren is a certified Senior Professional in Human Resources (SPHR), which is issued by the Human Resource Certification Institute, and a Society of Human Resource Management Senior Certified Professional (SHRM-SCP). During law school, Lauren served as a judicial intern to the Honorable Fernando J. Gaitan, Jr. in the United States District Court, Western District of Missouri. She also interned at the United States Department of Labor Office of the Solicitor, where she worked on OSHA and wage and hour investigations.